It reminded me of my DiSC certification training where we talked about misuses of DiSC. 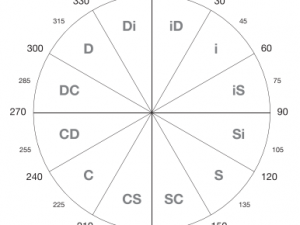 DiSC isn’t designed to judge your suitability to a particular job or measure your abilities. Personality assessments will not make you a better user of Excel. It’s not even designed to make you a better marketer, but I know marketers and sales people who use their knowledge of DiSC to better communicate with their audience or customer. 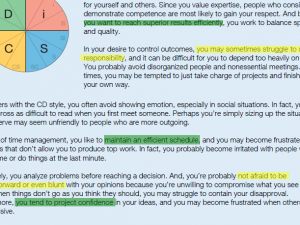 A quick or superficial reading might make the reader assume that a tool like DiSC isn’t useful because it asks people to answer questions about themselves and many aren’t self-aware enough to do so. It seems to suggest that knowing your profile is not enough. I agree. And I think most consultants using DiSC would agree. You can’t stop with knowing you’re an S, for example. This knowledge is only valuable in context. 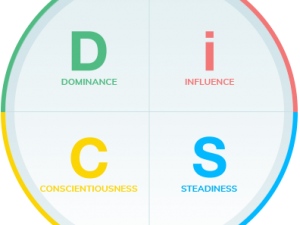 It’s fun to learn your DiSC style and read about how you tend to behave, but it’s no more useful than reading a quick Internet quiz unless you use that information to inform future choices, make changes, become a better communicator, or be more patient with the priorities of others. 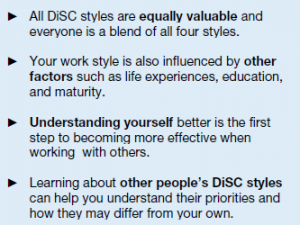 I love that Everything DiSC talks about priorities more than of styles. If you want to motivate me, you need to know my priorities. If you know I’m a C, you can assume that giving me a public award won’t do it. If I know you’re a D, I know that I need to quickly get to my point when asking you for something. Knowledge of the DiSC priorities helps me make more informed decisions when working with others. I certainly agree with the article’s author that we have blind spots. That’s why there’s a product called Everything DiSC 363. This 360 degree feedback tool gathers more information about how others see us. It can be used in conjunction with Everything DiSC Workplace. 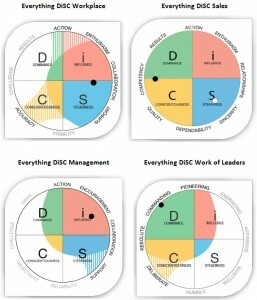 A good coach, HR professional or consultant will use DiSC as the starting point for conversations about how people differ and how to read, value and work with those differences. The author also states “In fact, teams with less self-aware individuals made worse decisions, engaged in less coordination, and showed less conflict management.” Again, I agree. That’s why using tools that engage a person in looking at their behaviors and priorities can help. It teaches self-awareness. It gives team members a way of talking about their perceptions and perspectives. 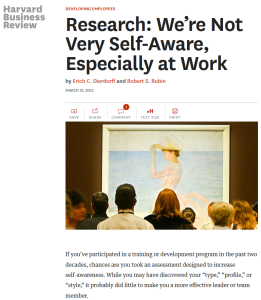 “Teach self-development skills in addition to self-awareness.” Absolutely. 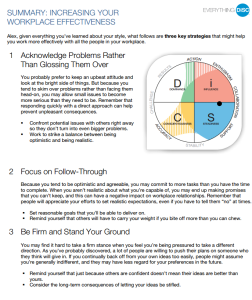 Take a look at Everything DiSC Work of Leaders or The Five Behaviors of a Cohesive Team. That’s what those products and good consultants do–they move beyond any labels and get into the meat of building skills. That’s why Everything DiSC profiles end with action items or strategies to increase your effectiveness.